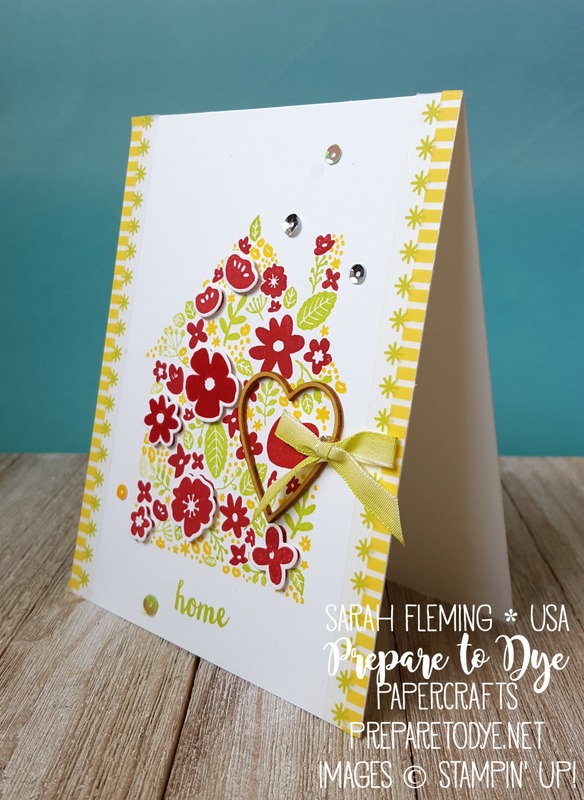 I just realized that I never posted my Step-It-Up Challenge for the Splitcoaststampers Creative Crew this month! The card above is the clean-and-simple version of my card. It’s much easier than it looks! The house is stamped with three different stamps that fit together perfectly. 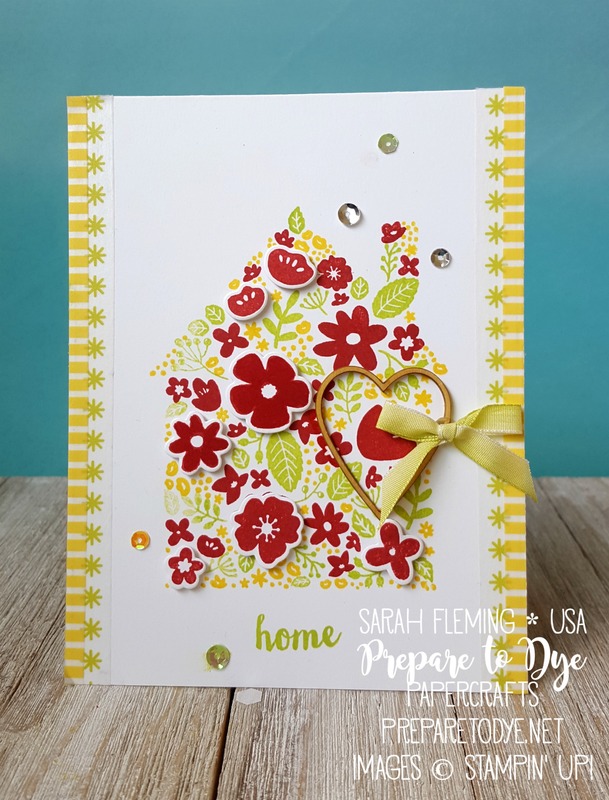 After stamping the house, I simply tied a ribbon around the card front with the Lemon-Lime Twist 1/4″ Ombre Ribbon and added some Iridescent Sequins and Metallics Sequins. Boom, done. For the stepped-up version of the card, I included washi tape from Basics Pack 2 and a heart from the Hearts & Stars Elements. 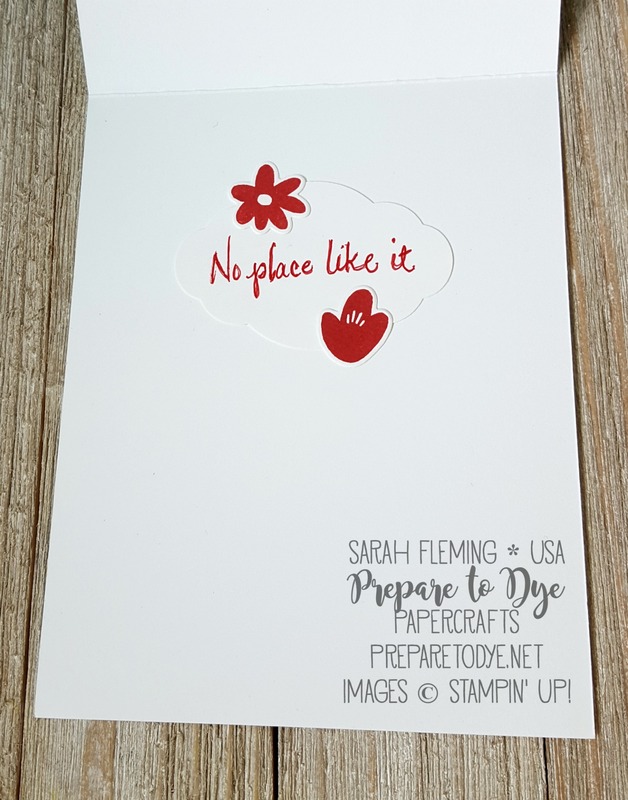 I also stamped the Real Red stamp on a separate piece of Whisper White cardstock and cut it out with the coordinating die (there is a die that cuts out all these flowers in one shot!). I popped those flowers up on Dimensionals. Instead of tying the ribbon around the cardfront, I added a little bow to the heart. I wanted to stamp “No place like it” on the inside of the card. We had just gotten back from two weekends away in three weeks when I made this card, so it seemed appropriate for our Vacation/Staycation theme. All I had in my head right then was staying home for a bit. But I didn’t think the Labeler Alphabet stamps worked with the front of the card, so I used my Real Red marker to write the inside sentiment. Then I added two flowers (leftover from the die cut for the popped-up flowers on the card front). The sentiment is written on a label punched with the Pretty Label punch (because I had a big smudge to cover). If you’d like to see this bundle in action, check out this video I made a few weeks ago with this bundle. 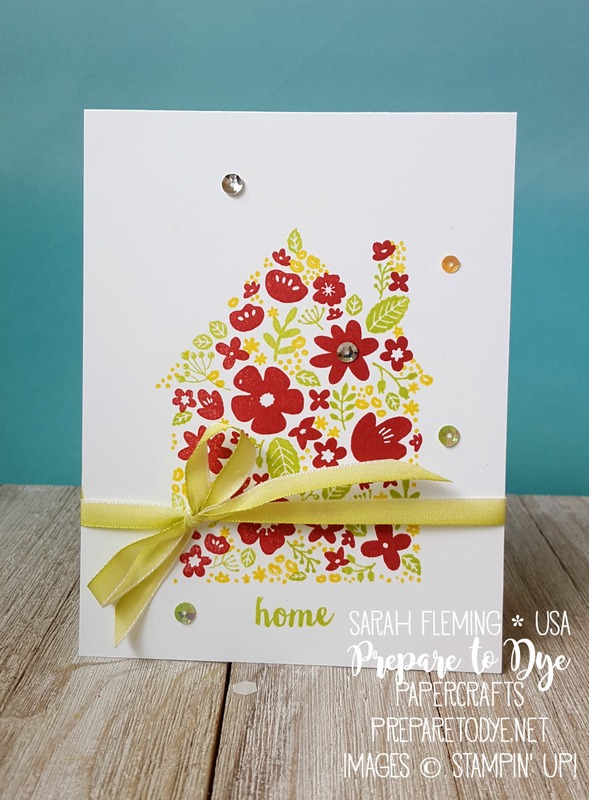 You can buy all of the products I used in my cards in my online Stampin’ Up! store. If you earned Bonus Days coupons in July, NOW is the time to redeem them! They expire after August 31st, so make sure to spend them by tomorrow! Make sure to use the Host Code at checkout so you get extra freebies from me!